To celebrate Kitaro’s 15th Grammy Nomination, Domo Music is offering a special sale. If you order the Final Call Vinyl edition, you can choose one free Grammy nominated CD. 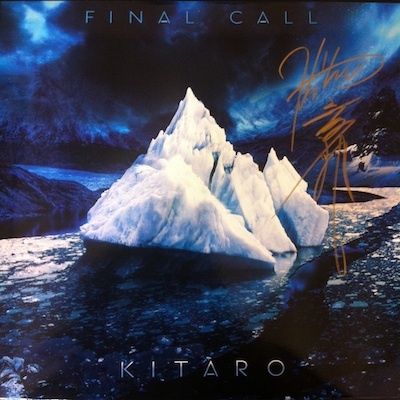 The vinyl is a limited release collector’s item with handwritten serial number and Kitaro’s signature on each vinyl. The 12 Inch LP record is produced with 180 gram of HiFi Audio. This offer will end on January 26th. See more at the Domo Music Store.